Hello, I had a question regarding my friend’s bearded dragon. She came to me today informing me that lately, for the past few days, her bearded dragon refuses to bask and hides underneath her shelter all day. 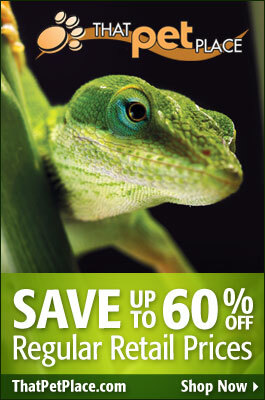 The bearded dragon is female, in a 60 gallon tank approx. has tile flooring, no soaking area, my friend just gives her baths, idk if this is recommended or not, and the hottest part of the tank is 100F and the coolest part is 80F. I figured that her environment conditions would help me to receive accurate information. So if you have any information and advice for this, it would be much appreciated. Nice to hear from you again. Bearded dragons sometimes become dormant in winter, even if kept warm; please see this article for further info. Unfortunately, there is no simple way to distinguish between this and a health problem; egg-binding, bacterial infections and a host of other problems can also cause lethargy, etc. A vet exam would be the safest way to go, but may not be necessary. UVB exposure and proper diet are also critical to good health. Please send along some details when you have a moment. No need to soak the animal; they rarely see standing water in their natural habitat. Some will use a water bowl, but many prefer to drink from drops sprayed onto the glass and rocks, etc. I believe the bearded dragons bulbs are UVB. The tank enclosure has 2 bulbs on one side, one is a 65 watt UVB heat bulb and the other is a 100 watt UVB heat bulb, Although I have no idea what brand it is, as I have experienced some reptile brands to be better and more efficient then others. 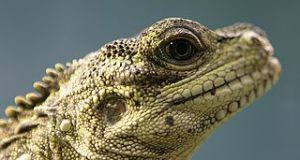 From what I’ve heard the reptiles diet consist of mainly crickets, it’s never been mentioned whether any other kind of food is provided. I’m not sure if bearded dragons require any kind of commercial pellet food, but if they do, I know for certain that pellet foods are not part of it’s diet. For my friend had been told by a pet mart employee not to buy them because they are not needed. Thanks for the feedback. If the bulbs are mercury vapor, which provide heat and UVB, they are probably fine, as most are effective over distances of 18 inches or more. Best to look into it, though, as UVB exposure is critical to health. 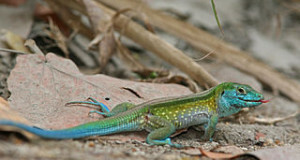 The Zoo Med 10.0 is the best florescent for desert lizards, but basking site should be within 6-12 inches of the bulb. Commercial pellets are not necessary, but can be useful; however, crickets alone, even if supplemented, are not sufficient. The animal will eat, look well for awhile, but develop nutritional deficiencies and other health problems before long. Please check this article for details on insect and plant-based foods, and commercial pellets. thanks for the response. so calcium on the meats and salads 3-4 times a week, and gradually decrease the vitamins? so how many times a week would you say to supplement with vitamins, 2 to 3? or less? and decrease with age as well? Also, when this guys an adult, do i continue the 3-4 times a week of calcium supplementing or reduce it? because I’ve read that above all, the calcium is very important. I’m just very confused with the whole supplementing schedule. I know that to much supplementing can be dangerous, and progressively i’m thinking more about him as he grows and ages and i want to make sure what im doing is correct. I have rep cal vitamin powder, but i have fluker’s phosphorus free calcium with d 3, are these reliable? I feed him: crickets, wax worms, super worms, and red wrigglers for the invert’s and for the plant matter and vegetables i feed him: kale, mustard greens, romaine, butternut squash (which he loves), acorn squash, bananas and apples (here and there), carrots, broccoli and zucchini. These are all mixed for certain days, but he always has two of the three of leaf plants available always and at least two of the veggies and fruits are mixed and matched everyday. and the inverts are mixed up to, but at least everyday the crickets and super worms. Alittle over a week ago i adopted a very ill bearded dragon with server M.B.D and Nutrition deficiency’s, and Sever stunted growth. He is 1 year old and sub adult size “but growing rapidly”. I Feed him salad daily I offer squash “butternut,spahgetti” collard greens, kale sometime’s carrots squash is his favorite though. I replace the salad dish twice a day. and he also eats 20 crickets a day that have been eating tropical fish flakes, strawberry’s and oats. I also offer five super worms that have been eating oats and fruit. I dust the crickets every feeding with calcium no d3. and pray the super worms with zilla reptile multi vitamin spray every couple days. I’ve cured his M.B.D in a week threw diet uvb exposure and takeing him outside during hot weather “well watched ofc”. He now walks, runs and I don’t think he has mbd anymore. When I first rescued him I thought he was going to die overnight and he wouldn’t eat spine was sunk in etc. he is much better now no tremmors and growing. But this morning I noticed one of his eyes was swollen shut and not normal.. sent me into a panic research and I found it was luckly flash burn from a bad florescent uvb bulb, I turned the bulb off immediately and droped some saline in his eye it’s much better now and hes using it again. I got lucky this time, I was just wondering if you knew about bad florescent uvb lights causeing eye infections in reptiles? I read its pretty a common thing esp for turtles. as the eye can get infected after it’s been burned. Very sorry for the long delay…I missed your comment due to a glitch in the notification system…all is working now. Infections can set in after trauma, burns etc. UVB related problems not common in b dragons, but possible esp as the animal had other health issues that could impact the immune system. Several of the newer bulbs are quite strrong..be sure to check recommended basking distances and let me know if you need anything. Sounds like you’ve done a great job…keep notes, as we still have much to learn and the info will come in handy in the future I’m sure. You should be able to cut back on food at this point…good to jump start the system as you did, but most captives do not need so much food long term. Growth may never be quite normal, health is the main concern. good to give a day or 2 of fasting each week (for most…use your judgement as you know the animal well); be careful with super mealworms…not easy to digest, best to substitute other insects…roaches, silkworms, butter worms, etc. His pervious owner took very poor care of him never had calcium supplement in his life or uvb. and she fed him straight mealworms and very few crickets once a week.. allso ice burg lettuce and other lettuces only for greens. I’m supprised he made it this far! he is a true trooper. Good to know i can cut him back on food alittle, I used wax worms to fatten him up when I first got him as he was very skinny… I was very concerned for awhile as the eye took 3 days to heal, but it’s all healed now with no infections. I bought him a new mercury UVB bulb the 125w exo terra Solarglo, and he seems to be enjoying it very much I have it at a 20inch distance but he can get as cloce as 15 if he wants. I keep his basking spot only 95-105 deg cause he seems to open his mouth for long period of time to release heat around 105. cool side is 75deg and shaded. I Am looking into buying him some dubia roaches and starting a colony. But for now I bulk odor superworms and crickets “much cheaper this way” I never feed mealworms or supermeal worms cause of the risk of impaction and they are hard. I read that superworms are better as there exoskeleton is more easily digested. Thanks for you’re time frank, I will definitely keep you posted If anything comes up! And thanks! pond fishing starts in just 19 Short days I am very excited! Thanks for the note Cody. SMealworms are more easily digested, less chitin, but best used sparingly; nutrition profile not great. If you keep a colony, you can se;ect newly-molted grubs (white in color) to use.